As a brand, Westin has a history of focusing on wellness, dating back to the launch of its "heavenly bed" in 1999. It's continuing that tradition this week by launching a new visual identity centered on well-being. According to Brian Povinelli, Westin's global brand leader, consumers feel that "healthy is the new wealthy." So the company is presenting wellness as a hallmark of luxury travel with its new look today—which guests will see on its website and social media channels in addition to signage, key cards, door tags and room service menus. The visual cues include bold fonts and icons that mimic apothecary labels; taglines Sleep Well, Feel Well, Eat Well, Move Well, Work Well and Play Well; and photography of people in real moments, doing things like running or eating healthy food. "We did a lot of research on Instagram and other social media platforms on the type of imagery that was being created by brands and was user generated, and used a lot of that to influence the direction," Povinelli said. "As a brand, we're trying to provide people an experience that lets them tap into their well-being while traveling," he added. "The new identity is very lifestyle driven. I think other brands in the hotel space are still in the old paradigm of showing meeting spaces and pools and beaches and guest rooms, whereas, we're showing the lifestyle we want the brand to portray through visual identity." To formulate that identity, Westin explored branding and design trends in food, fitness, fashion and beauty, including the phenomenon of "tribe workouts" like Soul Cycle and fitness-as-fashion (what many people wear to the gym, they also wear to work). Based on this information, it added craft cocktails like the Pomegranate Green Tea and Cucumber Basil Gimletto to Westin's bar menu. 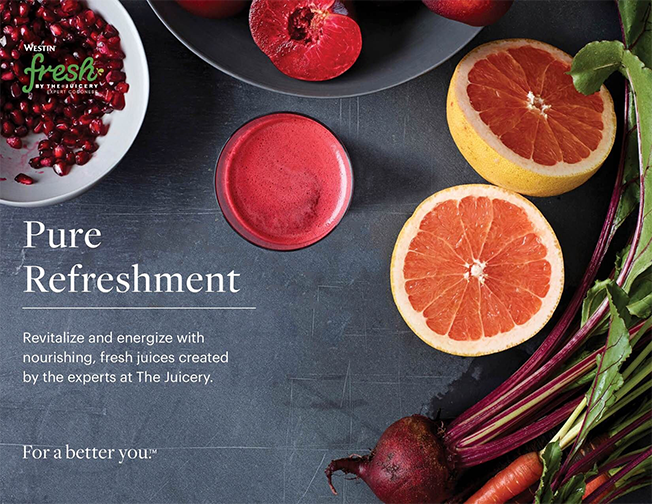 And it launched the Westin Sleep Well menu, which includes a selection of sleep-enhancing superfoods, a workout gear lending program and runWestin, a concierge service that provides guests with local running routes. "Probably less than 10 percent of our guests use the gear lending program, but to that 10 percent, it's extremely meaningful. We know we've shifted share from our competition from that program alone," Povinelli said. "We're trying to carve out this niche that Westin is the brand for runners." 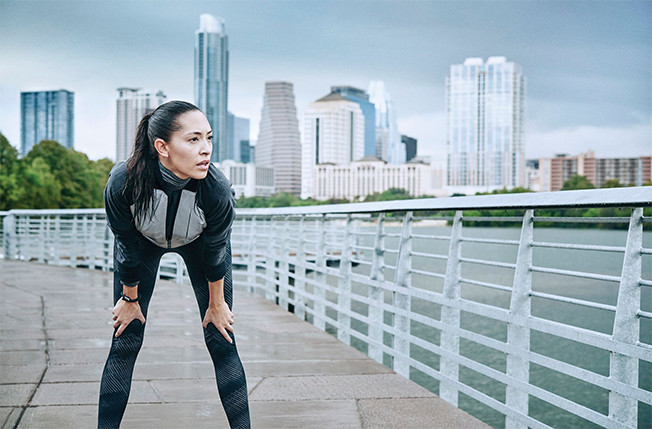 Westin's new visual identity highlights its aim to be the brand for runners. Westin studied Instagram and other social platforms to develop imagery for its new look.